Overstock. Liven up your oasis with this bold geometric design. 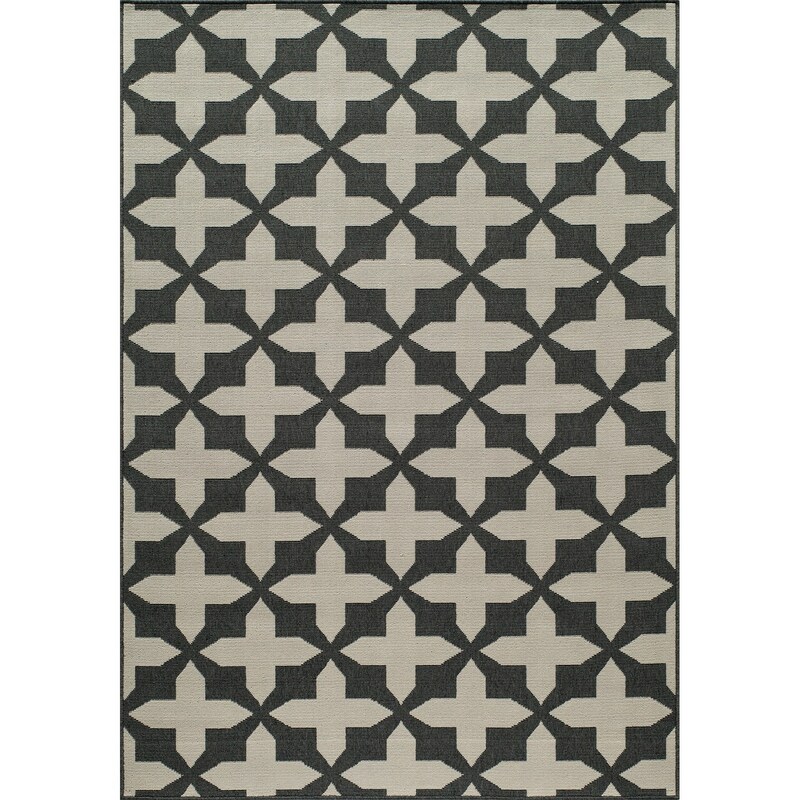 Momeni’s Moroccan Lattice Indoor/Outdoor area rug is machine-woven from durable polypropylene fibers — known for their resistance to stains and fading. A great choice for the patio or under the dining room table where food might fall.